It’s not easy to become a business owner. It’s a 24/7 job that requires 100 percent of your time and effort. Plus, you need to ensure that your business is earning sufficient profits and at the same time, you have enough funds left in case you need to fill in inventory, pay necessary expenses, and additional working capital. Who do you run to if you are short of funds? Surely, your family or friends could let you borrow money, but don’t rely on them too much. 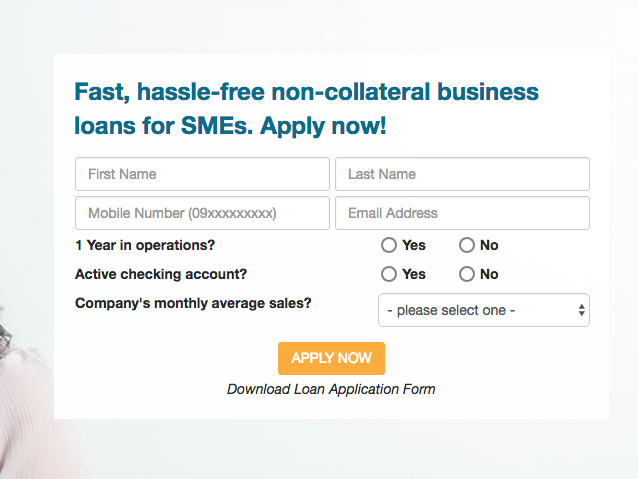 Banks may be your next option, but applying for a business loan from them could be tedious. This is where First Circle comes in. Read on to learn more about this lender, what it can do for you, and how to apply in case you need additional funds. Who is First Circle? 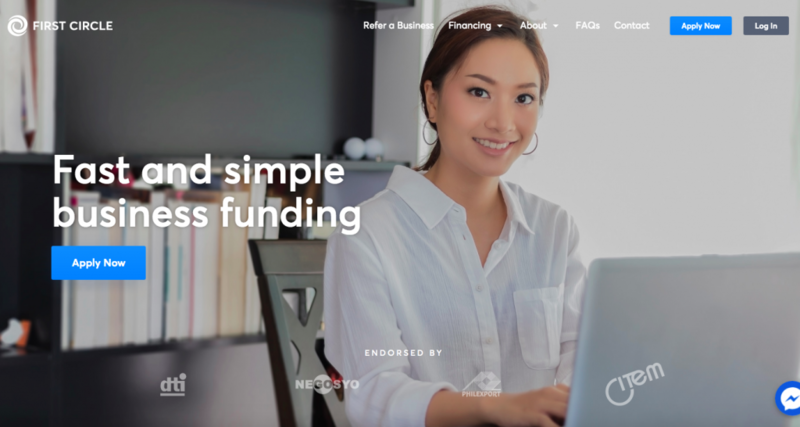 Launched publicly in 2016, First Circle is a Philippine-based fin-tech lender that aims to help small-medium business owners with their financing needs. The company understand how difficult it is to apply for a business loan with banks. Plus, not all SMEs have sufficient collateral to cover the amount to be borrowed, which could be a ground for loan rejection. This is why First Circle offers short-term business loans like Purchase Order Financing and Invoice Financing to address financial gap (such as additional working capital and finance operating expenses) in the most convenient way possible. First Circle understands that there are factors beyond your control like late payment of customers or occurrence of fortuitous event that affected your business. In case you need immediate financing, this is where First Circle comes in. 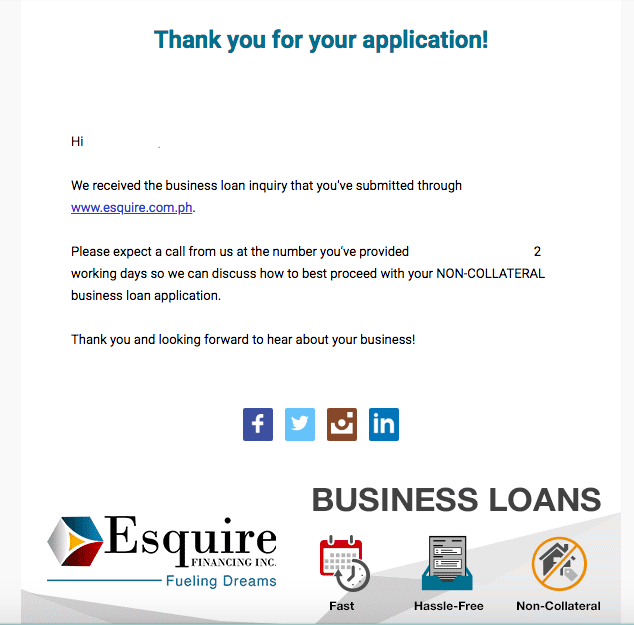 Applying is easy as well because everything happens online, which means you don’t have to physically go to their office and brave Metro Manila traffic just to apply for a loan. 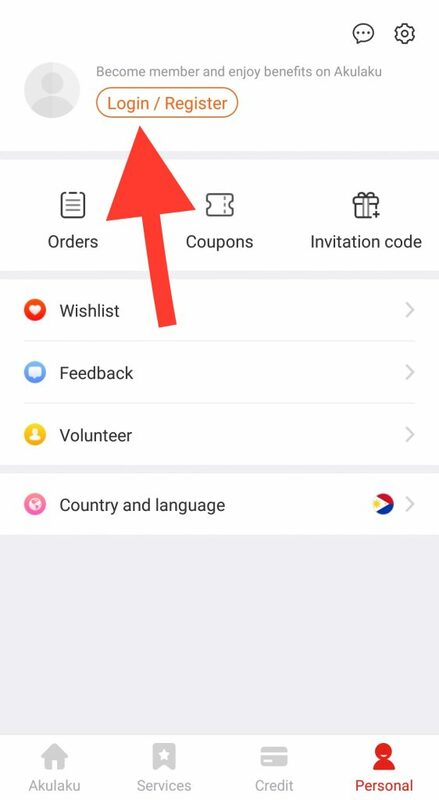 As of this writing, First Circle is supported by the Philippine government and is the official finance partner of the Department of Trade and Industry. 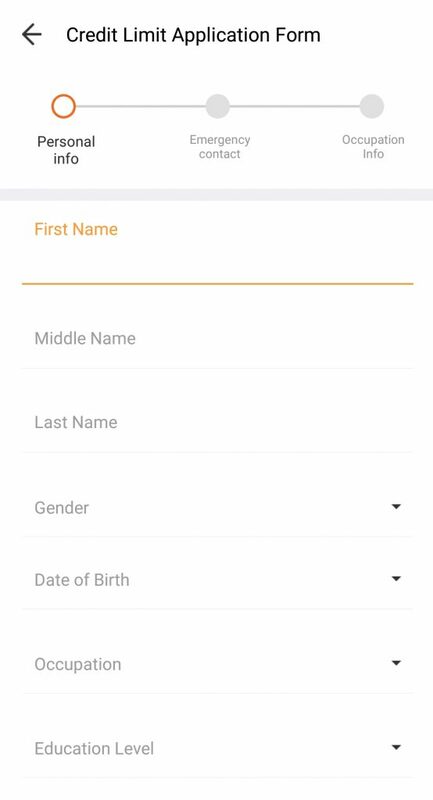 Create a TrustPass profile by filling out their online application form. 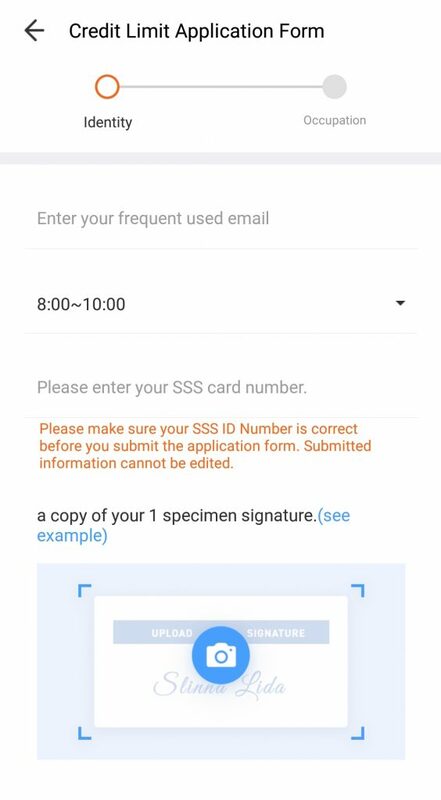 You can access the form here. Take note that there are two types of TrustPass profile – Personal and Business. These two are required so that First Circle can verify both your personal and business profiles, which are essential when applying for a loan. Once your profiles are approved, submit a Purchase Order or Invoice, depending on what your business needs. 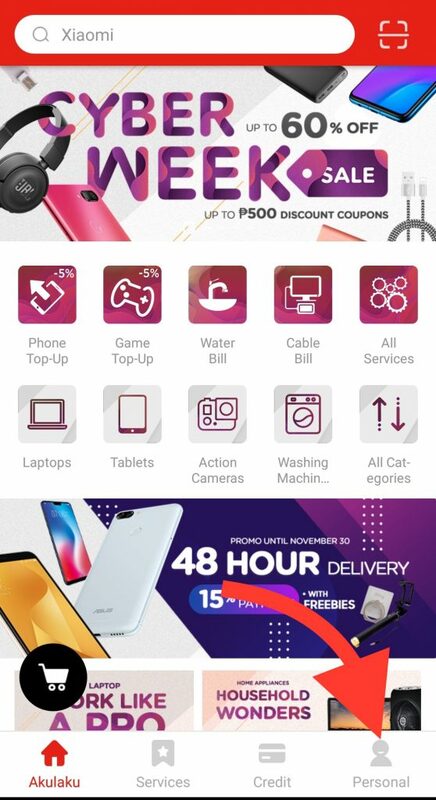 Keep in mind that the amount of your purchase order or invoice should be at least P25,000. Aside from the Purchase Order or Invoice, submit other documents listed above. First Circle will verify your loan application and documents within 24 to 48 hours. 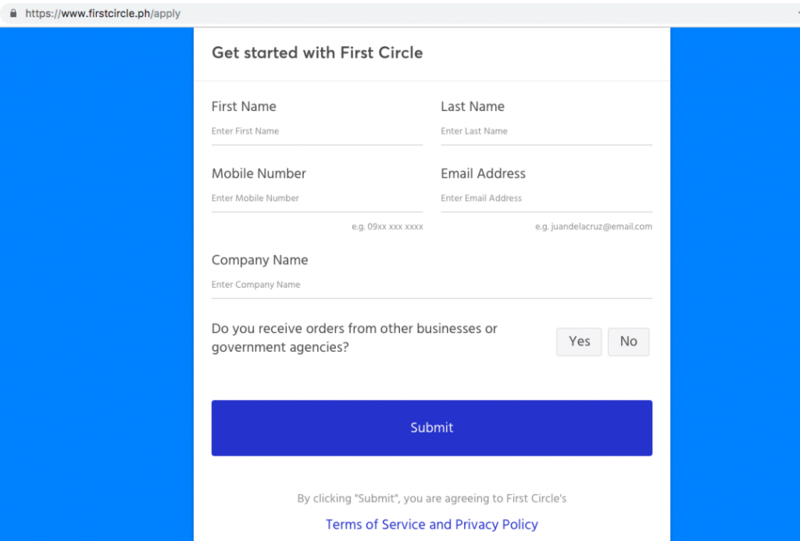 If approved, you will be contacted by First Circle representative and ask to accept the offer. Funds will be transferred to your account within 24 to 48 hours from the time you accepted the offer. Submit a post-dated check indicating the total loan amount plus interest. This will be picked up by First Circle’s courier on an agreed time and day, and will serve as your payment upon maturity of the loan. Make sure that the minimum amount of your PO or Invoice is P25,000. You should have a checking account. Mode of payment is via post-dated check, which you will submit to First Circle as soon as you accepted the offer. Your credit standing matters. This will increase your chances of not just loan approval but also refinancing. Now you know who you can run to in case you need additional capital in your business. You’ll never know what would happen tomorrow, next week, by the end of the month, or three years from now. That is why it is important to prepare for what could possibly happen to make sure you could get back up. We know. You have responsibilities, tons of expenses to pay, and mouths to feed. In fact, you barely have nothing left every month that you can set aside for savings. In case you need immediate funds, you turn to relatives and friends, hoping that they could lend you some, no matter how small the amount is. What if they can’t lend you money? In that case, you might want to turn to PAG-IBIG through its Multi-Purpose Loan or MPL. This facility is offered by PAG-IBIG to all its active and qualified members to help augment financial needs. The best part is you are given two months grace period, which means you will only start paying on the third month from the time of your loan application. For instance, you applied for and was approved on January. Payment will only start on March. Loan Amount: Your desired loan amount OR 80 percent of Total Accumulated Value (TAV), whichever is LOWER. Your capacity to pay will likewise be considered on the approved loan amount to ensure that your net take home pay will not be below the minimum requirements prescribed by the General Appropriations Act (GAA). Interest Rate: 10.5 percent per annum, with the rate equalized over the duration of the loan. Loan Renewal: MPL may be renewed after payment of at least six monthly amortizations. Loan Release: Loan proceeds may be credited to your disbursement card, OR bank account through Land Bank, OR check under your name, OR any other legitimate modes of disbursement. Loan Repayment: The MPL will be paid in equal monthly payments, which covers both principal and interest, and to be deducted on your monthly salary. If you contribute voluntarily or an OFW, payment must be done over-the-counter and every 15th of the month starting on the third month. 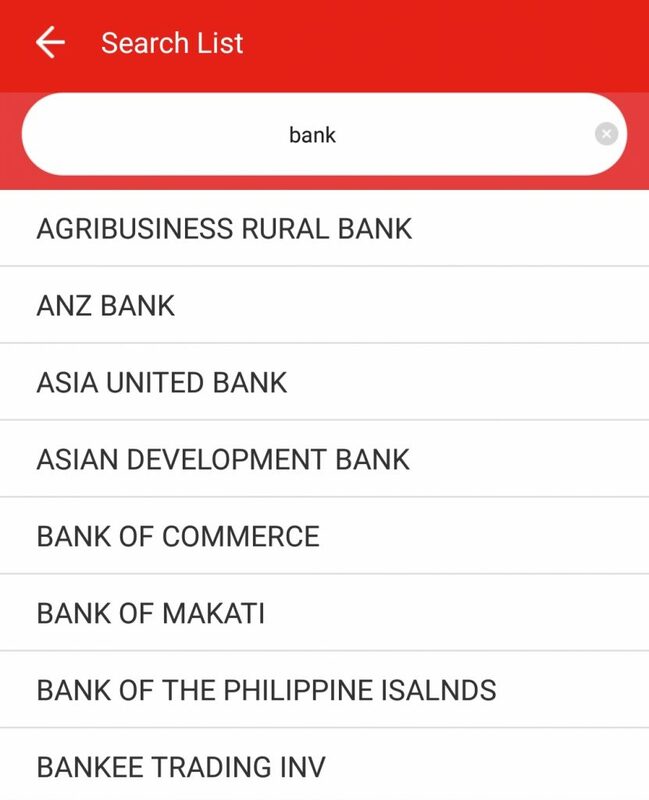 You can check this guide on PAG-IBIG Payment Facilities. Penalty Fee: 1/20 of one percent of the unpaid amount per day. Early termination of MPL is loan with no pre-termination fee. Failure to pay monthly amortization or monthly contributions for three consecutive months constitutes default. As a result, the loan obligation becomes due and demandable. In other words, you can use PAG-IBIG’s Multi-Purpose Loan for whatever purpose it might serve you. If you are thinking of buying a new house or to finance your business, then there is a separate loan facility for that. Who are eligible to apply for MPL? Member who has made at least 24 monthly membership savings or MS. 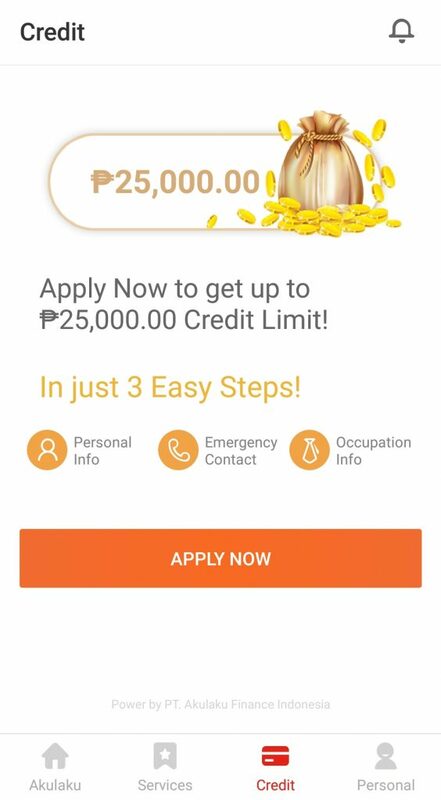 If you have withdrawn or stop contributing to PAG-IBIG, then you can still apply for MPL provided that you will pay an equivalent of 24 monthly contributions. Has made at least one month contribution for the last six months prior to the date of the loan application. Has sufficient proof of income. In case you have existing Housing Loan, MPL, or Calamity Loan, you can still apply for Multi-Purpose Loan provided that the account/s must NOT be in default at the time of the loan application. Fill out the application for Multi-Purpose Loan. You can get a copy at any PAG-IBIG branches or get a copy here. Submit your loan application to the nearest PAG-IBIG branch. 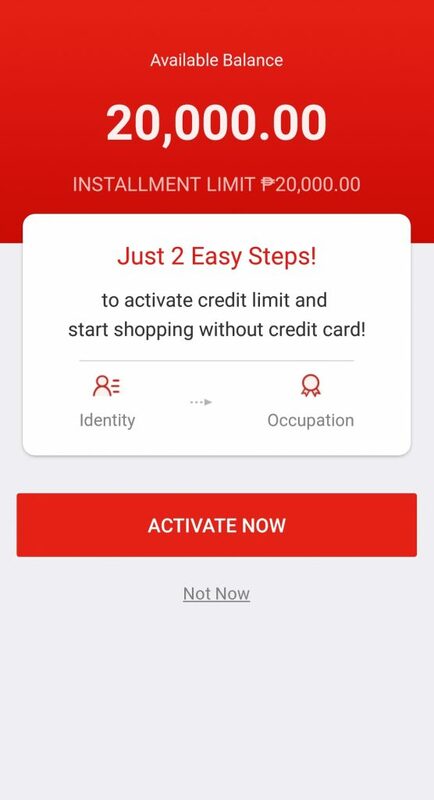 Submit other documents such as valid government-issued ID and photocopy of payroll account, disbursement card, or bank account for disbursement. 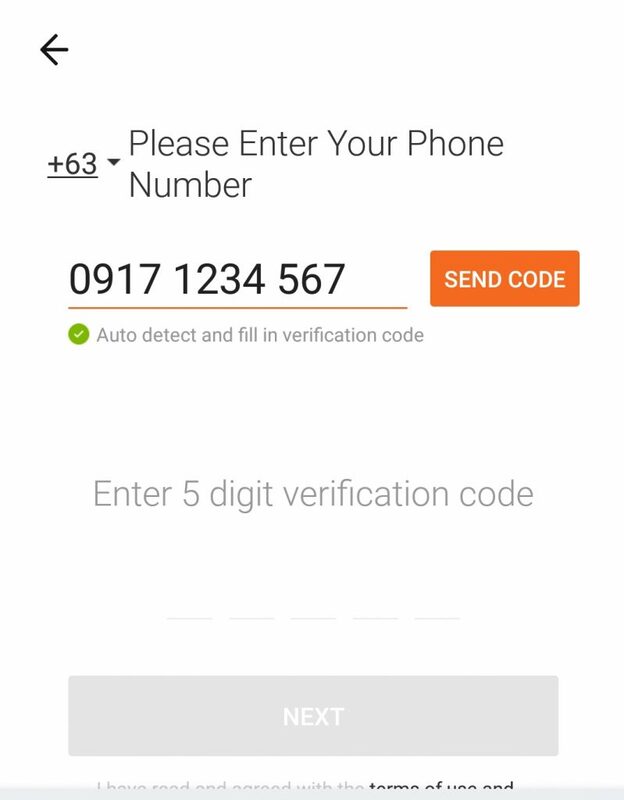 Wait for the PAG-IBIG representative to give you a feedback regarding the status of your loan application. There are days when you need a new phone, laptop, or small appliances because the old one (that’s been with you for years) broke down. Apparently, you don’t have enough funds to get yourself a new one. Borrowing money from family might be your first choice, but what if even your family cannot lend you some? Getting a personal loan from banks is out of the question as well because of the requirements needed. In that case, you turn to online cash lenders like Akulaku. Is it worth it? Is it legitimate? 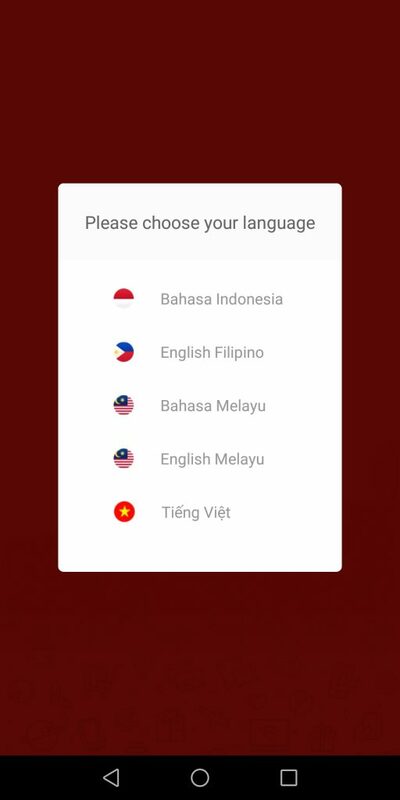 How about the processing and payment? Don’t worry. These questions will be answered based on the reviews shared by Akulaku customers. Applying for a loan is easy. 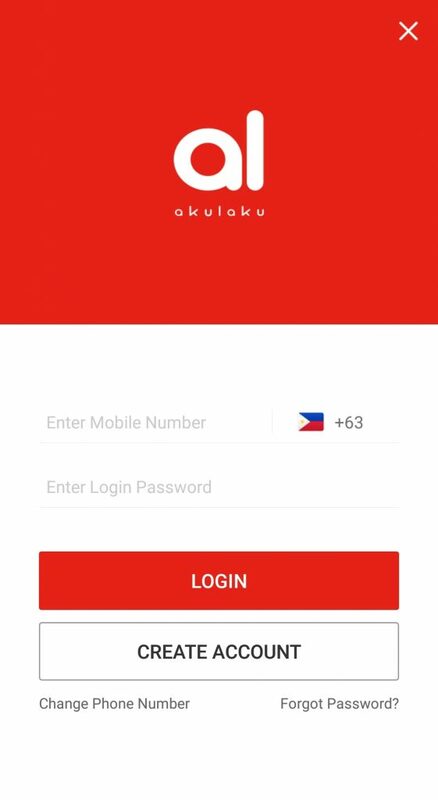 Simply download the Akulaku app, which is available in both Apple and Android devices, create an account to register, and apply for a credit limit. Most Akulaku customers are in unison in saying that applying for a loan is easy since all they needed was their smartphone. 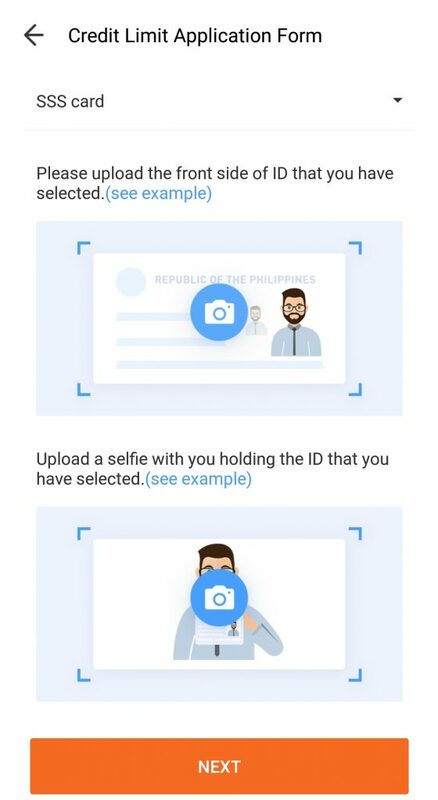 The requirements are easy to comply with as well, although some say they weren’t able to push through with their application because they don’t have government-issued ID. On the other hand, there are customers who are not happy when it comes to their credit limit. One of the customers interviewed said that she’s been a loyal customer of Akulaku but was not granted an increase despite using the app repeatedly and paying on time and in full. When she asked for an increase, Akulaku wasn’t that helpful, saying that the credit limit was system-generated. Aside from cash loan, Akulaku also offers sale of items, which will be paid on installment basis. Most customers say that it took a while for Akulaku to deliver the items they ordered. Although the delivery time is three to five days, some didn’t get their items until on the seventh day from the time they applied or even longer. Some were even complaining that they are due to pay their loan on this particular day but haven’t received the item they ordered. 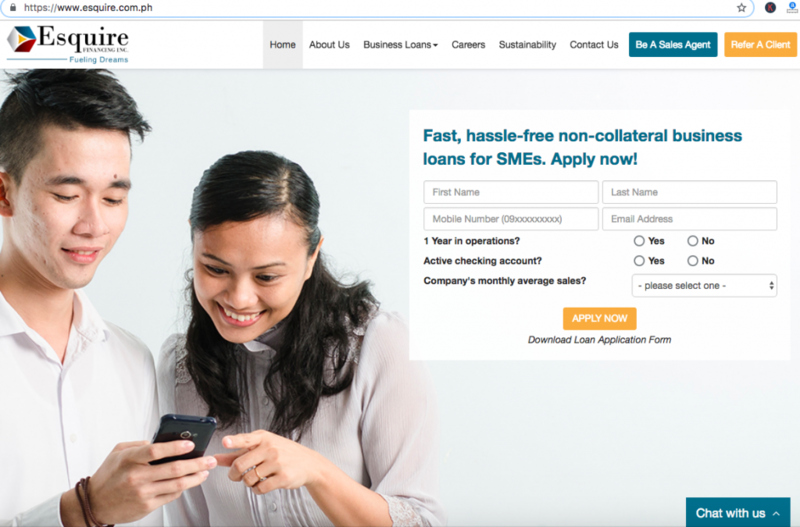 Despite being new in the market, Akulaku is commendable for its variety of loan repayment options such as GCash, DragonPay, ECPay, or over-the-counter payments in banks like PNB. Payment can also be done online, which is a big plus for customers. Unfortunately, payment made will not reflect on Akulaku system immediately. Some customers said that they have to repeatedly send proof of payment because they were being charged for late payment fee despite paying in full and on time. This was one of the common complaints of Akulaku users. Despite the ease in applying for a loan and a lot of potential, most of them say that they need to improve on their customer service. Akulaku representatives don’t often reply in messages sent on Facebook despite repeated messages made by customers. 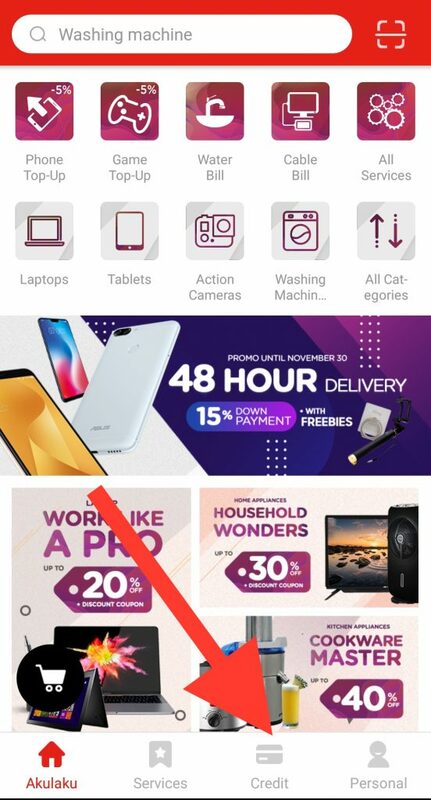 They do hope that Akulaku will improve on their customer service, especially the Chat Support so they could address their customers faster, more effectively, and not just give them a generic reply when raising their concerns. Given this feedback from customers, do you want to give Akulaku a try? You’ll never know when rainy days will come. This is why you always have to be prepared and make sure you have cash on hand or your Emergency Fund has sufficient amount to cover for sudden cash needs. What if there’s not enough cash on hand? In that case, you can turn to UCPB and avail of its SalarEasy Loan. Completely-filled loan UCPB SalarEasy loan application form. You can get a copy here. Completely fill out the loan application form. Submit the completed UCPB SalarEasy loan application and the required documents. Wait for five to seven days for approval. You will be contacted directly by UCPB representative regarding the status of your loan. Get a free UCPB eMoney Card as a payout method for the loan. Make sure you have a credit card and checking account. The checking account is necessary because this will be the method used to repay the loan. Ensure that all of the required documents are complete. For further questions about the SalarEasy loan, you can call UCPB Consumer Loans hotline at (02) 811-9100 between 8:30am and 5:00pm or go to the nearest UCPB branch.